I've read your info on the up-coming M3 and criticism of the AF system on the EOS M.
Just how bad is it? I'm considering an EOS M - current prices are £250 - £300 inc. lens and flash gun which is probably 50% of it's replacement. My usage will be 90% landscape/ posed family shots, very little action. Is the original M still worthwhile at this price? 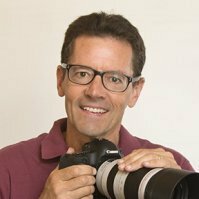 Thanks for your question on Canon mirrorless cameras, John. Certainly if you are a big fan of mirrorless cameras, this is a great price level. 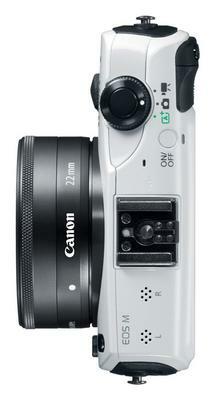 The bigger sensor on the Canon EOS-M is a nice improvement over the long running "g" series of Canon Cameras. The comparison of the EOS-M and the potential big improvement with an M3 is very similar to the improvement of the Canon G1x mark II over the original G1x. Canon's first attempt in both of these categories came up very short in performance and the upgraded versions are so much better because Canon listened to the criticisms and changed the cameras significantly. For me personally, I like my G1x Mark II so much I can't see myself going in the direction of the "M" cameras anytime in the near future. I am just not a big fan of the over-sized zoom lenses that attach to the smaller mirrorless camera bodies. I think the bigger lenses on the smaller cameras are an awkward combination. If you like the standard, non-zooming, "pancake" type of lens that comes with the EOS-M, then you've still got the compact size in a camera at a great price. Remember, I am a shooting pro with no patience for sub-standard performance in the field. I just used my Canon g1x Mark II for two weeks in Alaska. Its EVF, electronic viewfinder attaches to the camera via the flash hot shoe and couldn't be happier with with size, ease of use and image quality. 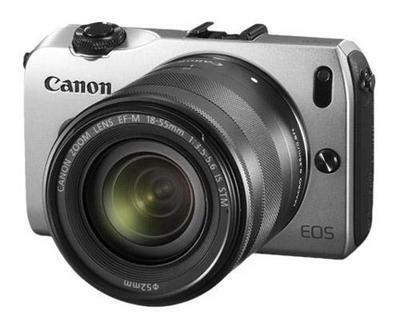 As a newer camera, it is a whole lot more money than the EOS-M. Finally, Canon has a mirrorless Canon worth recommending, the EOS M. Previously, I said I had no interest in going with a EOS M (mirrorless) until Canon made some serious improvements. Well, they have, in a big way. The EOS M5 has arrived and Canon listened to photographers complaints and came up with a real winner. I really like a lot about this camera, especially the viewfinder.